ASTRO model policies were developed as a means to efficiently communicate what ASTRO believes to be correct coverage policies for radiation oncology services. The ASTRO Model Policies do not serve as clinical guidelines and they are subject to periodic review and revision without notice. The ASTRO Model Policies may be reproduced and distributed, without modification, for noncommercial purposes. 4. Treatment planning - number of isocenters, number, placement and length of arcs or angles, number of beams, beam size and weight, etc. 5. Isodose distributions, dosage prescription and calculation 6. Setup and accuracy verification testing 7. Simulation of prescribed arcs or fixed portals Radiation oncologists and neurosurgeons have separate CPT billing codes for SRS. CPT Codes 61781–61783, 61796-61800 and 63620 and 63621 are reported for the work attributed to the neurosurgeon. These codes are mutually exclusive with the radiation oncology CPT codes 77432 and 77435; therefore the same physician should not bill for both of these codes. A radiation oncologist may bill the SRS management code 77432 (stereotactic radiation treatment management of cranial lesion(s) (complete course of treatment consisting of one session) for single fraction intracranial SRS (and only once per treatment course) when and only when fully participating in the management of the procedure. CPT 77432 will be paid only once per course of treatment for cranial lesions regardless of the number of lesions. When SRS is administered in more than one but not more than five fractions to the brain or in one through five fractions to the spine, the radiation oncologist should instead bill the Stereotactic Body Radiation Therapy (SBRT) code 77435 to cover patient management during that course of therapy. CPT 77435 will be paid only once per course of therapy regardless of the number of sessions, lesions or days of treatment. The radiation oncologist may not bill 77432 and 77435 for the same course of therapy. In addition to the management codes, a radiation oncologist may bill other appropriate radiation oncology (77xxx) codes for services performed prior to the delivery of SRS as indicated by the pattern of care and other Medicare policies. No one physician may bill both the neurosurgical codes 61781-83, 61796–61800, 63620 or 63621 and the radiation oncology 77XXX codes. If either the radiation oncologist or the neurosurgeon does not fully participate in the patient’s care, that physician must take care to indicate this change by use of the appropriate -54 modifier (followed by any appropriate -55 modifier) on the global procedure(s) submitted. As the services are collegial in nature with different specialties providing individual components of the treatment, surgical assistants will not be reimbursed. The technical charges used by hospital-based and outpatient facilities for SRS delivery are described by the CPT codes listed below. It is not appropriate to bill more than one treatment delivery code on the same day of service, even though some types of delivery may have elements of several modalities (for example, a stereotactic approach with IMRT). Only one delivery code is to be billed. Other radiation oncology professional and technical services required prior to the delivery of SRS are coded separately and may be appropriately billed by the radiation oncologist, when necessary. Indications for SRS: 1. Primary central nervous system malignancies, generally used as a boost or salvage therapy for lesions <5cm. 2. Primary and secondary tumors involving the brain or spine parenchyma, meninges/dura, or immediately adjacent bony structures. 3. Benign brain tumors and spinal tumors such as meningiomas, acoustic neuromas, other schwannomas, pituitary adenomas, pineocytomas, craniopharyngiomas, glomus tumors, hemangioblastomas 4. Arteriovenous malformations and cavernous malformations. 5. Other cranial non-neoplastic conditions such as trigeminal neuralgia and select cases of medically refractory epilepsy. As a boost treatment for larger cranial or spinal lesions that have been treated initially with external beam radiation therapy or surgery (e.g. sarcomas, chondrosarcomas, chordomas, and nasopharyngeal or paranasal sinus malignancies). 6. Metastatic brain or spine lesions, with stable systemic disease, Karnofsky Performance Status 40 or greater (or expected to return to 70 or greater with treatment), and otherwise reasonable survival expectations, OR an Eastern Cooperative Oncology Group (ECOG) Performance Status of 3 or less (or expected to return to 2 or less with treatment). 7. Relapse in a previously irradiated cranial or spinal field where the additional stereotactic precision is required to avoid unacceptable vital tissue radiation. Limitations: SRS is not considered medically necessary under the following circumstances: 1. Treatment for anything other than a severe symptom or serious threat to life or critical functions. 2. Treatment unlikely to result in functional improvement or clinically meaningful disease stabilization, not otherwise achievable. 3. Patients with wide-spread cerebral or extra-cranial metastases with limited life expectancy unlikely to gain clinical benefit within their remaining life. 4. Patients with poor performance status (Karnofsky Performance Status less than 40 or and ECOG Performance greater than 3) - see Karnofsky and ECOG Performance Status scales below. 5. For ICD-9-CM code 333.1, essential tremor, coverage should be limited to the patient who cannot be controlled with medication, has major systemic disease or coagulopathy, and who is unwilling or unsuited for open surgery. Coverage should further be limited to unilateral thalamotomy. Karnofsky Performance Status Scale 100 Normal; no complaints, no evidence of disease 90 Able to carry on normal activity; minor signs or symptoms of disease 80 Normal activity with effort; some signs or symptoms of disease 70 Cares for self; unable to carry on normal activity or to do active work 60 Requires occasional assistance but is able to care for most needs 50 Requires considerable assistance and frequent medical care 40 Disabled; requires special care and assistance 30 Severely disabled; hospitalization is indicated although death not imminent 20 Very sick; hospitalization necessary; active supportive treatment is necessary 10 Moribund, fatal processes progressing rapidly 0 Dead Karnofsky DA, Burchenal JH. (1949). "The Clinical Evaluation of Chemotherapeutic Agents in Cancer." In: MacLeod CM (Ed), Evaluation of Chemotherapeutic Agents. Columbia Univ Press. Page 196. ECOG Performance Status Scale Grade 0: Fully active, able to carry on all pre-disease performance without restriction. Grade 1: Restricted in physically strenuous activity but ambulatory and able to carry out work of a light or sedentary nature, e.g. light house work, office work. Grade 2: Ambulatory and capable of all self-care but unable to carry out and work activities. Up and about more than 50% of waking hours. Grade 3: Capable of only limited self-care, confined to bed or chair more than 50% of waking hours. Grade 4: Completely disabled. Cannot carry on any self-care. Totally confined to bed or chair. Grade 5: Dead Eastern Cooperative Oncology Group, Robert Comis M.D., Group Chair. * As published in Am. J. Clin. Oncol. :Oken, M.M., Creech, R.H., Tormey, D.C., Horton, J., Davis, T.E., McFadden, E.T., Carbone, P.P. : Toxicity And Response Criteria Of The Eastern Cooperative Oncology Group. Am J Clin Oncol 5:649-655, 1982. Documentation should include the date and the current treatment dose. A radiation oncologist and a neurosurgeon must evaluate the clinical aspects of the treatment, and document and sign this evaluation as well as the resulting management decisions. A radiation oncologist and medical physicist must evaluate the technical aspects of the treatment and document and sign this evaluation as well as the resulting treatment management decisions. For Medicare claims, the HCPCS/CPT code(s) may be subject to Correct Coding Initiative (CCI) edits. This policy does not take precedence over CCI edits. Please refer to the CCI for correct coding guidelines and specific applicable code combinations prior to billing Medicare. events, and verbal memory. Ann Neurol. 2009 Feb;65(2):167-75. 11. Barcia-Salorio JL, Barcia JA, Hernandez G, Lopez-Gomez L. Radiosurgery of epilepsy. Long-term results. Acta Neurochir Suppl (Wien). 1994; 62:111-113. 12. Barnett GH, Linskey ME, Adler JR, Cozzens JW, Friedman WA, Heilbrun MP, Lunsford LD, Schulder M, Sloan AE; American Association of Neurological Surgeons; Congress of Neurolofical Surgeons Washington Committee Stereotactic Radiosurgery Task Force. Stereotactic radiosurgery--an organized neurosurgery-sanctioned definition. J Neurosurg. 2007 Jan; 106(1):1-5. 13. Bhatnagar AK, Flickinger JC, Kondziolka D, Lunsford LD. Stereotactic radiosurgery for four or more intracranial metastases. Int J Radiat Oncol Biol Phys. 2006 Mar 1; 64(3):898903. 14. Brisman R. Microvascular decompression vs. Gamma Knife radiosurgery for typical trigeminal neuralgia: preliminary findings. Stereotact Funct Neurosurg. 2007; 85(2-3):94-8. 15. Chang SD, Gibbs IC, Sakamoto GT, Lee E, Oyelese A, Adler JR Jr. Staged stereotactic irradiation for acoustic neuroma. Neurosurgery. 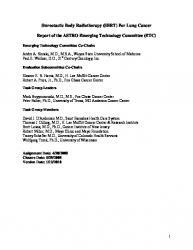 2005 Jun; 56(6):1254-61; discussion 1261-3. 16. Chougule PB, Burton-WilliamsM, Saris S, Zheng Z, Ponte B, Noren G, et al. Randomized treatment of brain metastases with Gamma Knife radiosurgery, whole brain radiotherapy or both (abstract). 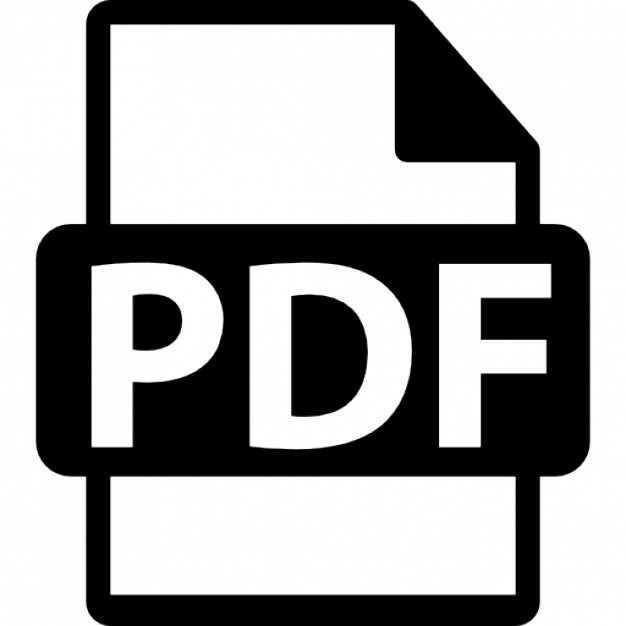 International Journal of Radiation Oncology, Biology, Physics 2000; 48: 114. 17. Chua DT, Sham JS, Hung KN, Leung LH, Au GK. Predictive factors of tumor control and survival after radiosurgery for local failures of nasopharyngeal carcinoma. Int J Radiat Oncol Biol Phys. 2006 Dec 1; 66(5):1415-21. 18. Cohen VM, Carter MJ, Kemeny A, Radatz M, Rennie IG. Metastasis-free survival following treatment for uveal melanoma with either stereotactic radiosurgery or enucleation. Acta Ophthalmol Scand. 2003 Aug; 81(4):383-8. 19. Dieckmann K, Georg D, Bogner J, Zehetmayer M, Petersch B, Chorvat M, et al. Optimizing LINAC based stereotactic radiotherapy of uveal melanomas: 7 years' clinical experience. Int J Radiat Oncol Biol Phys. 2006 Nov 15; 66(4 Suppl):S47-52. 20. Donnet A, Tamura M, Valade D, RJ. Trigeminal nerve radiosurgical treatment in intractable chronic cluster headache: unexpected high toxicity. Neurosurgery. 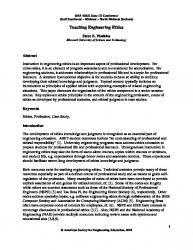 2006 Dec; 59(6):1252-7; discussion 1257. 21. Dodd RL, Ryu MR, Kamnerdsupaphon P, Gibbs IC, Chang SD Jr, Adler JR Jr. CyberKnife radiosurgery for benign intradural extramedullary spinal tumors. Neurosurgery. 2006 Apr; 58(4):674-85; discussion 674-85. 22. Duma CM. Movement disorder radiosurgery--planning, physics and complication avoidance. Prog Neurol Surg. 2007; 20:249-66. 23. ECRI Institute Health Technology Assessment Information Service (HTAIS). CyberKnife and Gamma Knife Radiosurgery for Trigeminal Neuralgia. Hotline Response. May 2007. Archived 24. Elia AE, Shih HA, Loeffler JS. 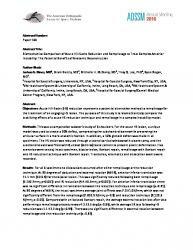 Stereotactic radiation treatment for benign meningiomas. Neurosurg Focus. 2007; 23(4):E5. 25. Friehs GM, Park MC, Goldman MA, Zerris VA, NorG, Sampath P. Stereotactic radiosurgery for functional disorders. Neurosurg Focus. 2007; 23(6):E3. 26. Gagnon GJ, Henderson FC, Gehan EA, Sanford D, Collins BT, Moulds JC, Dritschilo A. Cyberknife radiosurgery for breast cancer spine metastases: a matched-pair analysis. Cancer. 2007 Oct 15; 110(8):1796-802. 27. Gerszten PC, Burton SA, Ozhasoglu C, Welch WC. Radiosurgery for spinal metastases: clinical experience in 500 cases from a single institution. Spine. 2007 Jan 15; 32(2):193-9. 28. Gerszten PC, Burton SA. Clinical Assessment of Stereotactic IGRT: Spinal Radiosurgery. Med Dosim. 2008 summer; 33(2):107-16. 29. Gerszten PC, Burton SA, Ozhasoglu C, McCue KJ, Quinn AE. Radiosurgery for benign intradural spinal tumors. Neurosurgery. 2008 Apr; 62(4):887-95; discussion 895-6. 30. Gerszten PC, Ozhasoglu C, Burton SA, Vogel WJ, Atkins BA, Kalnicki S, Welch WC. CyberKnife frameless stereotactic radiosurgery for spinal lesions: clinical experience in 125 cases. Neurosurgery. 2004 Jul; 55(1):89-98; discussion 98-9. 31. Gerszten PC, Ozhasoglu C, Burton SA, Vogel WJ, Atkins BA, Kalnicki S, Welch WC. CyberKnife frameless single-fraction stereotactic radiosurgery for benign tumors of the spine. Neurosurg Focus. 2003 May 15; 14(5):e16. 32. Gerszten PC, Burton SA, Welch WC, Brufsky AM, Lembersky BC, Ozhasoglu C, Vogel WJ. Single-fraction radiosurgery for the treatment of spinal breast metastases. Cancer. 2005a Nov 15; 104(10):2244-54. 33. Gerszten PC, Burton SA, Ozhasoglu C, Vogel WJ, Welch WC, Baar J, Friedland DM. Stereotactic radiosurgery for spinal metastases from renal cell carcinoma. J Neurosurg Spine. 2005b Oct; 3(4):288-95. 34. Gerszten PC, Burton SA, Quinn AE, Agarwala SS, Kirkwood JM Radiosurgery for the treatment of spinal melanoma metastases. Stereotact Funct Neurosurg. 2005c; 83(5-6):21321. 35. Gerszten PC, Germanwala A, Burton SA, Welch WC, Ozhasoglu C, Vogel WJ. Combination kyphoplasty and spinal radiosurgery: a new treatment paradigm for pathological fractures. J Neurosurg Spine. 2005d Oct; 3(4):296-301. 36. Gerszten PC, Burton SA, Belani CP, Ramalingam S, Friedland DM, Ozhasoglu C, Quinn AE, McCue KJ, Welch WC. Radiosurgery for the treatment of spinal lung metastases. Cancer. 2006 Dec 1; 107(11):2653-61. 37. Gibbs IC, Kamnerdsupaphon P, Ryu MR, Dodd R, Kiernan M, Chang SD, Adler JR Jr. Image-guided robotic radiosurgery for spinal metastases. Radiother Oncol. 2007 Feb; 82(2):185-90. 38. Giller CA, Berger BD, Fink K, Bastian E. A volumetric study of CyberKnife hypofractionated stereotactic radiotherapy as salvage for progressive malignant brain tumors: initial experience. Neurol Res. 2007 Sep; 29(6):563-8. 39. Gopalan R, Dassoulas K, Rainey J, Sherman JH, Sheehan JP. Evaluation of the role of Gamma Knife surgery in the treatment of craniopharyngiomas. Neurosurg Focus. 2008; 24(5):E5. 40. Gottfried ON, Liu JK, Couldwell WT. Comparison of radiosurgery and conventional surgery for the treatment of glomus jugulare tumors. Neurosurg Focus. 2004 Aug 15; 17(2):E4. 41. Grabenbauer GG, Reinhold Ch, Kerling F, et al. Fractionated stereotactically guided radiotherapy of pharmacoresistant temporal lobe epilepsy. Acta Neurochir Suppl. 2002; 84: 65-70. 42. Gronseth G, Cruccu G, Alksne J, Argoff C, Brainin M, Burchiel K, Nurmikko T, Zakrzewska JM. Practice parameter: the diagnostic evaluation and treatment of trigeminal neuralgia (an evidence-based review): report of the Quality Standards Subcommittee of the American Academy of Neurology and the European Federation of Neurological Societies. Neurology. 2008 Oct 7; 71(15):1183-90. 43. Han JH, Kim DG, Chung HT, et al. Clinical and neuroimaging outcome of cerebral arteriovenous malformations after Gamma Knife surgery: analysis of the radiation injury rate depending on the arteriovenous malformation volume. J Neurosurg. 2008; 109(2):191-198. 44. Hara W, Loo BW Jr, Goffinet DR, Chang SD, Adler JR, Pinto HA, et al. Excellent Local Control with Stereotactic Radiotherapy Boost After External Beam Radiotherapy in Patients with Nasopharyngeal Carcinoma. Int J Radiat Oncol Biol Phys. 2007 Dec 28. 45. Hayes, Inc. HAYES Medical Technology Directory. Stereotactic Radiosurgery for Arteriovenous Malformations and Intracranial Tumors. Lansdale, PA: Hayes, Inc. January 2009. 46. Ikeda H, Jokura H, Yoshimoto T. Transsphenoidal surgery and adjuvant Gamma Knife treatment for growth hormone-secreting pituitary adenoma. J Neurosurg. 2001 Aug; 95(2):285-91. 47. International RadioSurgery Association. Radiosurgery practice guideline initiative: stereotactic radiosurgery for patients with vestibular schwannomas. Issued May 2006. Accessed April 2009. Available at: http://www.irsa.org/AN%20Guideline.pdf. 48. International RadioSurgery Association. Radiosurgery practice guideline initiative: stereotactic radiosurgery for patients with intractable typical trigeminal neuralgia who have failed medical management. Issued: September 2003. Accessed April 2009. Available at: http://www.irsa.org/ TN%20Guideline.pdf. 49. International RadioSurgery Association. Radiosurgery practice guideline initiative: stereotactic radiosurgery for patients with pituitary adenomas. Issued: April 2004. Accessed April 2009. Available at: http://www.irsa.org /Pituitary%20 Guideline.pdf 50. International RadioSurgery Association, The. Radiosurgery practice guideline initiative: stereotactic radiosurgery for patients with intracranial arteriovenous malformations. Issued September 2003. Accessed April 2009. Available at: http://www.irsa.org/AVM%20Guideline.pdf 51. Ishihara H, Saito K, Nishizaki T, Kajiwara K, Nomura S, Yoshikawa K, Harada K, Suzuki M. CyberKnife radiosurgery for vestibular schwannoma. Minim Invasive Neurosurg. 2004 Oct; 47(5):290-3. 52. Kajiwara K, Saito K, Yoshikawa K, Kato S, Akimura T, Nomura S, Ishihara H, Suzuki M. Image-guided stereotactic radiosurgery with the CyberKnife for pituitary adenomas. Minim Invasive Neurosurg. 2005 Apr; 48(2):91-6. 53. Karpinos M, Teh BS, Zeck O, Carpenter LS, Phan C, Mai WY, Lu HH, Chiu JK, Butler EB, Gormley WB, Woo SY. Treatment of acoustic neuroma: stereotactic radiosurgery vs. microsurgery. Int J Radiat Oncol Biol Phys. 2002 Dec 1; 54(5):1410-21. Stereotactic radiotherapy. Front Radiat Ther Oncol. 2007; 40:415-26. 54. Kim SH, Weil RJ, Chao ST, Toms SA, Angelov L, Vogelbaum MA, Suh JH, Barnett GH. Stereotactic radiosurgical treatment of brain metastases in older patients. Cancer. 2008 Aug 15; 113(4):834-40. 55. Kondziolka D, Ong JG, Lee JY, Moore RY, Flickinger JC, Lunsford LD. Gamma Knife thalamotomy for essential tremor. J Neurosurg. 2008 Jan; 108(1):111-7. 56. Kondziolka D, Patel A, Lunsford LD, Kassam A, Flickinger JC. Stereotactic radiosurgery plus whole brain radiotherapy versus radiotherapy alone for patients with multiple brain metastases. Int J Radiat Oncol Biol Phys. 1999 Sep 1; 45(2):427-34.
linac-based stereotactic radiosurgery for vestibular schwannoma: a single-institution study. Int J Radiat Oncol Biol Phys. 2003 Aug 1; 56(5):1390-6. 69. Muacevic A, Wowra B, Siefert A, Tonn JC, Steiger HJ, Kreth FW. Microsurgery plus whole brain irradiation versus Gamma Knife surgery alone for treatment of single metastases to the brain: a randomized controlled multicentre phase III trial. J Neurooncol. 2008 May; 87(3):299-307. 70. Muragaki Y, Nakamura R, Iseki H, Hori T, Takakura K. Outcome after pituitary radiosurgery for thalamic pain syndrome. Int J Radiat Oncol Biol Phys. 2007 Nov 1; 69(3):852-7. 71. Myrseth E, MP, Pedersen PH, Vassbotn FS, Wentzel-Larsen T, Lund-Johansen M. Vestibular schwannomas: clinical results and quality of life after microsurgery or Gamma Knife radiosurgery. Neurosurgery. 2005 May; 56(5):927-35; discussion 927-35. 72. National Comprehensive Cancer Network (NCCN).Web site. Clinical Practice Guidelines in Oncology. Central Nervous System Cancers V.1.2008. Accessed April 2009. 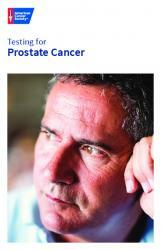 Available at http://www.nccn.org/professionals/physician_gls/PDF/cns.pdf. 73. National Comprehensive Cancer Network (NCCN).Web site. Clinical Practice Guidelines in Oncology. Soft Tissue Sarcoma. V.1.2009. Accessed April 2009. Available at: http://www.nccn.org/professionals/physician_gls/PDF/sarcoma.pdf. 74. National Institute for Clinical Excellence. Stereotactic radiosurgery for trigeminal neuralgia using the Gamma Knife. August 2004. 75. National Institute for Health and Clinical Excellence. Interventional procedure Guidance IPG085 Stereotactic radiosurgery for trigeminal neuralgia using the Gamma Knife guidance. August 2004. Accessed April 2009. Available at: http://www.nice.org.uk/nicemedia/pdf/ip/IPG085guidance .pdf. 76. National Institute for Health and Clinical Excellence. Systematic review of the clinical efficacy and safety of stereotactic radiosurgery (Gamma Knife) in the treatment of trigeminal neuralgia. 27 April 2004. Accessed April 2009. Available at: http://www.nice.org.uk /nicemedia /pdf/ip/173 systematic review.pdf. 77. Niranjan A, Jawahar A, Kondziolka D, Lunsford LD. A comparison of surgical approaches for the management of tremor: radiofrequency thalamotomy, Gamma Knife thalamotomy and thalamic stimulation. Stereotact Funct Neurosurg. 1999; 72(2-4):178-84. 78. Nishizaki T, Saito K, Jimi Y, Harada N, Kajiwara K, Nomura S, Ishihara H, Yoshikawa K, Yoneda H, Suzuki M, Gibbs IC. The role of cyberknife radiosurgery/radiotherapy for brain metastases of multiple or large-size tumors. Minim Invasive Neurosurg. 2006 Aug; 49(4):203-9. 113. Wu SX, Chua DT, Deng ML, Zhao C, Li FY, Sham JS, Wang HY, Bao Y, Gao YH, Zeng ZF. Outcome of fractionated stereotactic radiotherapy for 90 patients with locally persistent and recurrent nasopharyngeal carcinoma. Int J Radiat Oncol Biol Phys. 2007 Nov 1; 69(3):761-9. 114. Yang KJ, Wang KW, Wu HP, Qi ST. Radiosurgical treatment of intractable epilepsy with low radiation dose. Di Yi Jun Yi Da Xue Xue Bao. 2002; 22(7):645-647. 115. Yoshikawa K, Saito K, Kajiwara K, Nomura S, Ishihara H, Suzuki M. CyberKnife stereotactic radiotherapy for patients with malignant glioma. Minim Invasive Neurosurg. 2006 Apr; 49(2):110-5. 116. Young RF, Jacques S, Mark R, Kopyov O, Copcutt B, Posewitz A, Li F. Gamma knife thalamotomy for treatment of tremor: long-term results. J Neurosurg. 2000 Dec; 93 Suppl 3:128-35. 117. Young RF, Vermeulen S, Posewitz A, Shumway-Cook A. Pallidotomy with the Gamma Knife: a positive experience. Stereotact Funct Neurosurg. 1998 Oct; 70 Suppl 1:21828. 118. Young RF, Vermeulen SS, Grimm P, Posewitz AE, Jacques DB, Rand RW, Copcutt BG. Gamma Knife thalamotomy for the treatment of persistent pain. Stereotact Funct Neurosurg. 1995; 64 Suppl 1:172-81. 119. Zesiewicz TA, Elble R, Louis ED, Hauser RA, Sullivan KL, Quality Standards Subcommittee of the American Academy of Neurology, et al. Practice parameter: therapies for essential tremor: report of the Quality Standards Subcommittee of the American Academy of Neurology. Neurology. 2005 Jun 28; 64(12):2008-20.